The refreshed iPhone 4S have officially been made available for pre-ordering starting since monring of Friday, October 7, 2011, on Apple online stores or mobile service providers’ online stores in several countries, including United States via AT&T, Verizon and Sprint; United Kingdom via O2, T-Mobile, Orange, Three and Vodafone, Australia via Optus, Telstra, Vodafone and Virgin Mobile; Canada via Bell, Fido, Koodo, MTS, Rogers, SaskTel, Telus and Virgin Mobile; Germany via O2, Telekom and Vodafone; and France via Orange, SFR, Bouygues Telecom and Virgin Mobile. While the features of iPhone 4S is considered by many to be underwhelming with just minor upgrade from iPhone 4, but the smartphone is still a hit among Apple fanboys, especially with projected huge pent-up demand due to a longer than usual gap of 16 months between release, and is expected to be selling like hotcakes. New antenna design which automatically switch between two antennas to provide the best signal. The iPhone 4S will available in store from October 14 on the above countries, plus Japan. The shipment for pre-order will start around October 14 too. 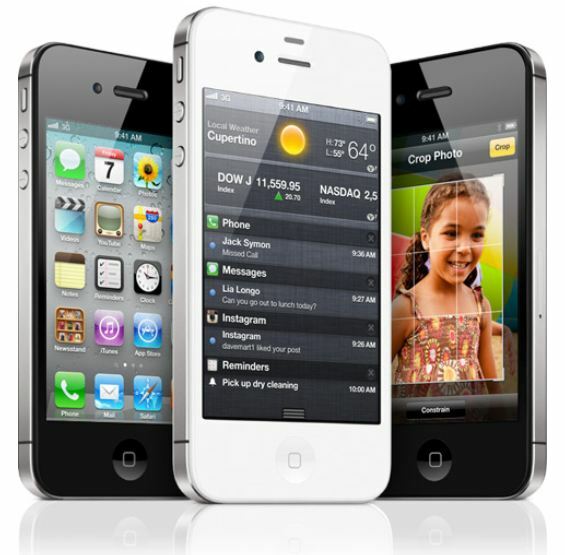 Shop for iPhone 4S on Apple Store Online (US) or Apple store of respective countries. Next up will be more countries where Apple customers can purchase iPhone 4S, including Austria, Belgium, Czech Republic, Denmark, Estonia, Finland, Hungary, Ireland, Italy, Latvia, Liechtenstein, Lithuania, Luxembourg, Mexico, Netherlands, Norway, Singapore, Slovakia, Slovenia, Spain, Sweden,and Switzerland. There is no news yet on when the iPhone 4S will release on other countries such as India, Indonesia, Malaysia, Brazil, although Hong Kong and China, which likely to be the hot market for iPhone 4S are rumored to have iPhone 4S by end of November.